China-based Huawei has unveiled a pair of Android smartphones in partnership with German camera-maker Leica. Dual-camera smartphones have been a very hot topic of discussion recently, with many analysts and industry insiders predicting that companies like Apple and Samsung will make the leap to this type of technology with their next-generation smartphones. 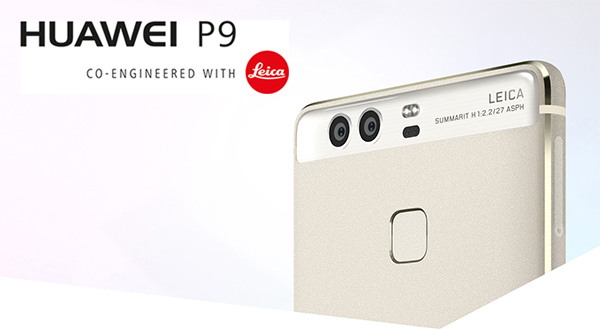 Huawei clearly wants to get ahead of the curve, and has subsequently unveiled the P9 and P9 Plus Android-powered smartphones that comes equipped with a Leica provided dual-camera lens system. The real talking point here is not the fact that Huawei could find itself thrust into the premium brand bracket with these two new devices, but the fact that it could potentially achieve that status thanks to a fairly unique partnership with German company Leica and its 12MP dual-camera setup. One of the underlying benefits of this type of camera system in a mobile device is that it is capable of creating shallow depth-of-field shots that have previously only been possible with much larger lenses. While the rear camera system is the main highlight of these two new phones, here’s a look at some of their other features, including pricing and release date. 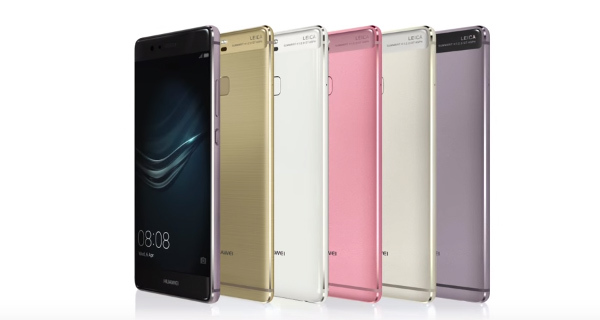 Huawei’s P9 is the smaller of the two new devices featuring a 5.2-inch IPS LCD display, serving up a 1920-by-1080 pixel resolution. The hardware ships with a 64-bit Kirin 955 Octa-core processor that is backed up with an accompanying 3GB of RAM in the 32GB model, or 4GB for those who opt for the 64GB variant. For selfie purposes, there is a sharp 8MP module in place on the front. On the rear, there is a dual-lens 12MP camera system. Keeping the phone running is a wholesome 3,000mAh battery. The phone is powered by Android 6.0 with EMUI 4.1. P9 also packs a 3D fingerprint sensor on the back for biometric authentication, along with an IR blaster for controlling TV and other devices. The phone excels on the built-quality front as well, with a unibody aluminum construction, brushed hairline finish, curved edges and 2.5D glass. Did we mention that it is only 6.95mm thick? 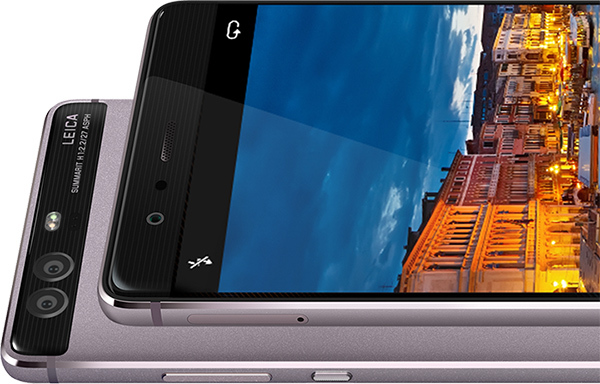 The larger P9 Plus features a 5.5-inch AMOLED panel with a screen resolution of 1920 x 1080. It comes only in 64GB internal storage configuration, which is complemented with 4GB of RAM. At the heart of the phone is the Kirin 955 CPU, which is same as the one found in P9. Battery capacity is measured at 3,400mAh which should easily suffice for most power users. Like the P9, the P9 Plus also packs an IR blaster, 3D fingerprint sensor, 8MP front-facing camera, and a dual-lens 12MP camera on the rear. Despite being larger than P9 by 0.3-inches, the phone is still very thin at 6.98mm. P9 Plus also features stereo speakers. Like the P9, P9 Plus is also powered by Android 6.0 with EMUI 4.1. Huawei is offering the two phones in a variety of color options, which includes: Titanium Grey, Mystic Silver, Prestige Gold, Rose Gold, Haze Gold, and Ceramic White. As for pricing, the 3GB P9 costs €599, while the larger 4GB version costs €649. The 5.5-inch P9 Plus with its Super AMOLED display is priced at €749. All models will be available to purchase from April 16th. Check out the complete spec sheet for the Huawei P9 below. P9 Plus has same specs except for larger AMOLED display, larger battery, and stereo speakers. More importantly. can you milk it? Just following the order of stupid questions. Need some sample photos from the camera.